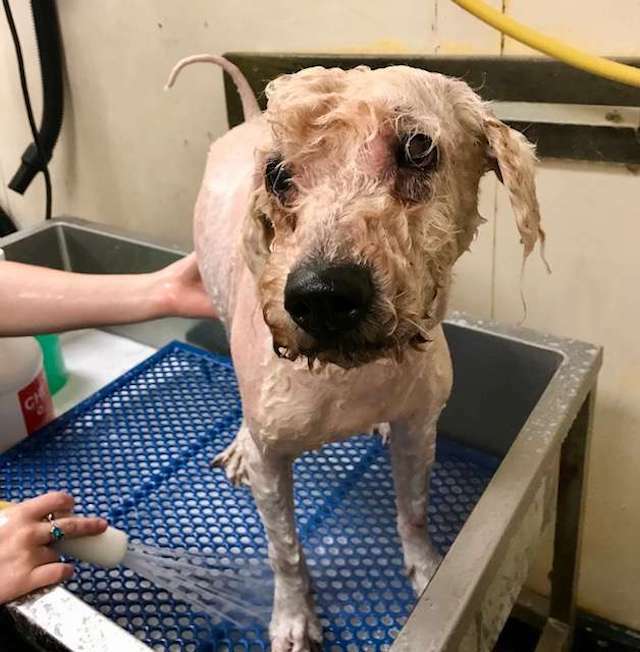 A flatbed truck pulled up to the Humane Society of North Texas (HSNT) with 20 animals who were in such terrible shape that the hearts of shelter staff broke at the sight. There were dogs, cats, sugar gliders, a snake and a turtle. All the animals were in horrendous shape, covered in feces and crammed inside boxes. On top of everything, they had endured a long drive in the hot summer sun and were dangerously close to suffering heat stroke. But without thinking twice, the shelter immediately sprung into action to save their lives. They also put out a plea for help, as their resources were strained from the sudden influx of the neglected animals. Their plea was heard and their was an outpouring of support. 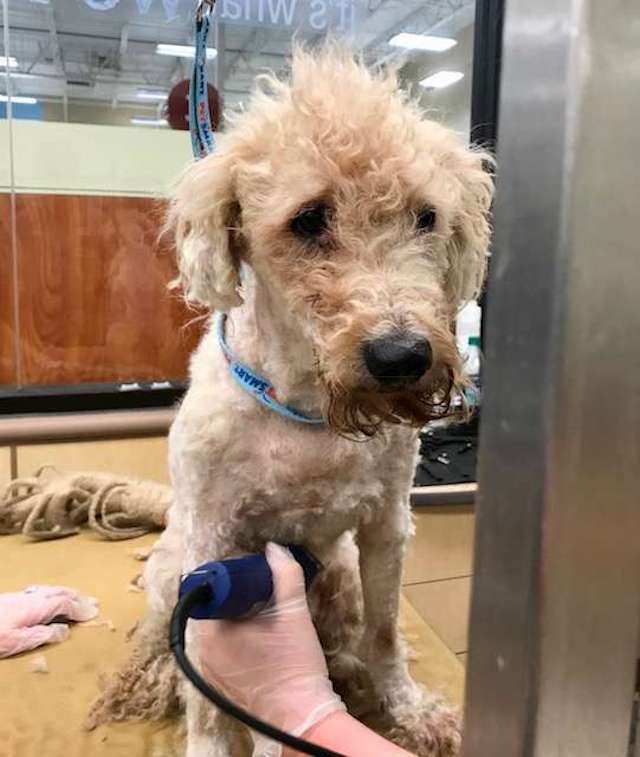 Among the animals surrendered were three poodle mixes who needed emergency care. 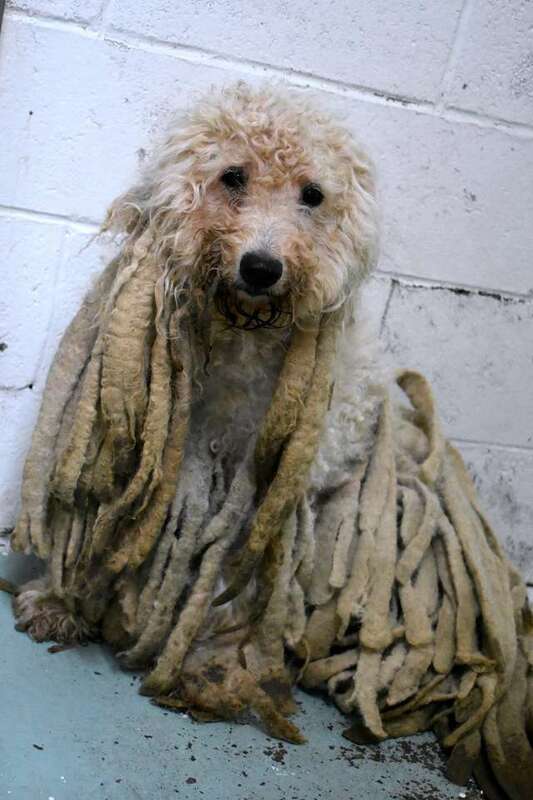 “These animals are in agony from the weight of their dreadlocks weighed down by dirt, feces and urine,” HSNT wrote. 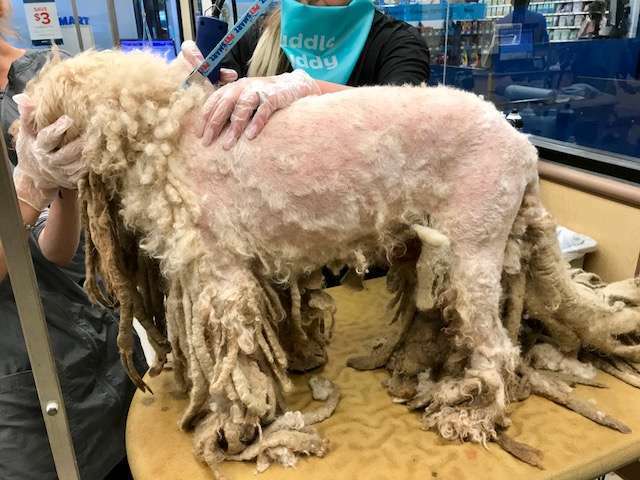 One in particular – Pierre – was matted so badly that he couldn’t walk without pain. 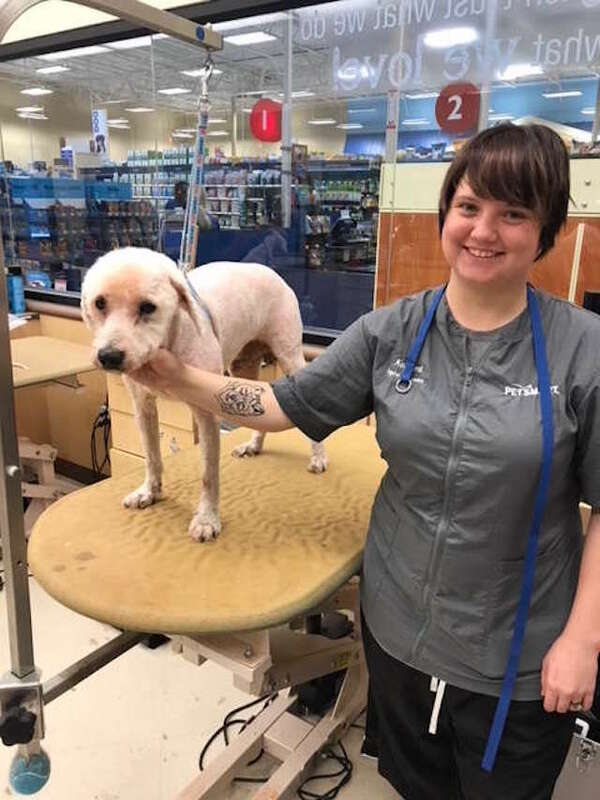 The HSNT’s local PetSmart donated free grooming from their senior groomers. It took hours to carefully groom Pierre without causing him pain. 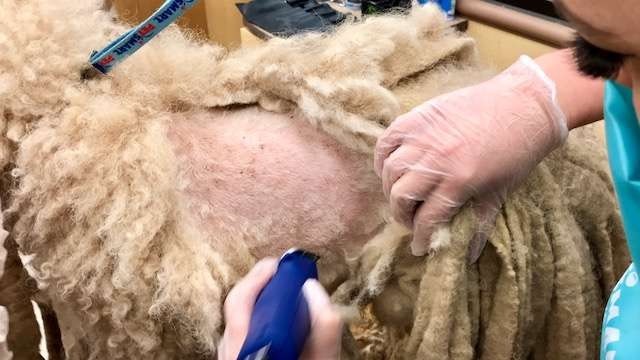 He literally had to be sheered like a sheep. 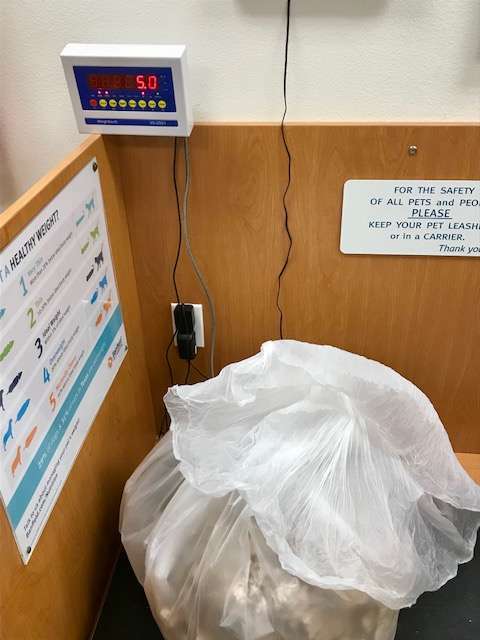 They took off five pounds of fur. Pierre’s eyes looked sadly at them as they continued to shave him. 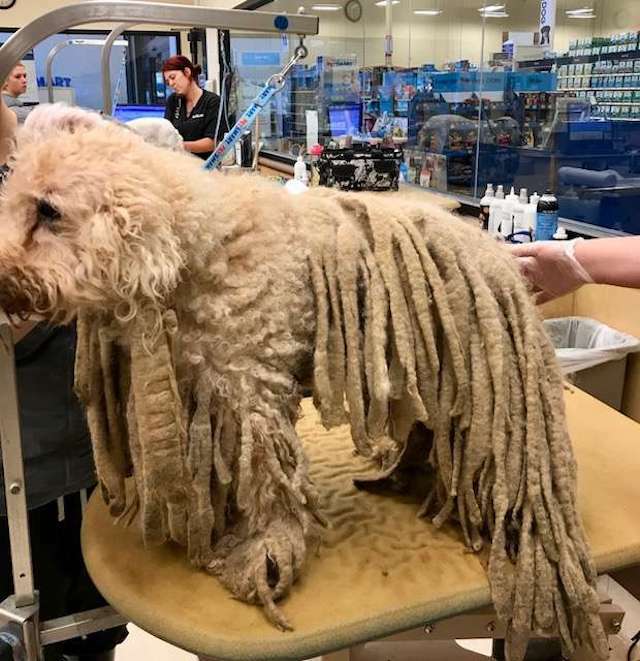 They gave him a bath to wash away the fleas and remove the last vestiges of dirt. When Lackey took him to her office to socialize him, she was amazed at just how “ridiculously sweet and loving” he is. He loves people, but he doesn’t know what toys are. But it won’t take him long to figure out what they are. 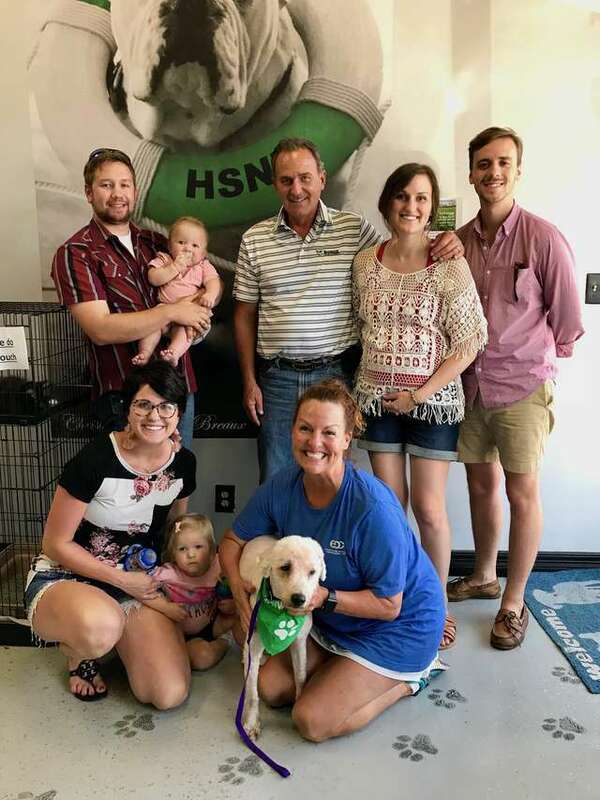 Within a few days of his rescue, Pierre was adopted by the Unzicker family. He’s now on to the next chapter of his life – one filled with love and respect. Visit the Humane Society of North Texas to see how you can help dogs like Pierre find loving homes.